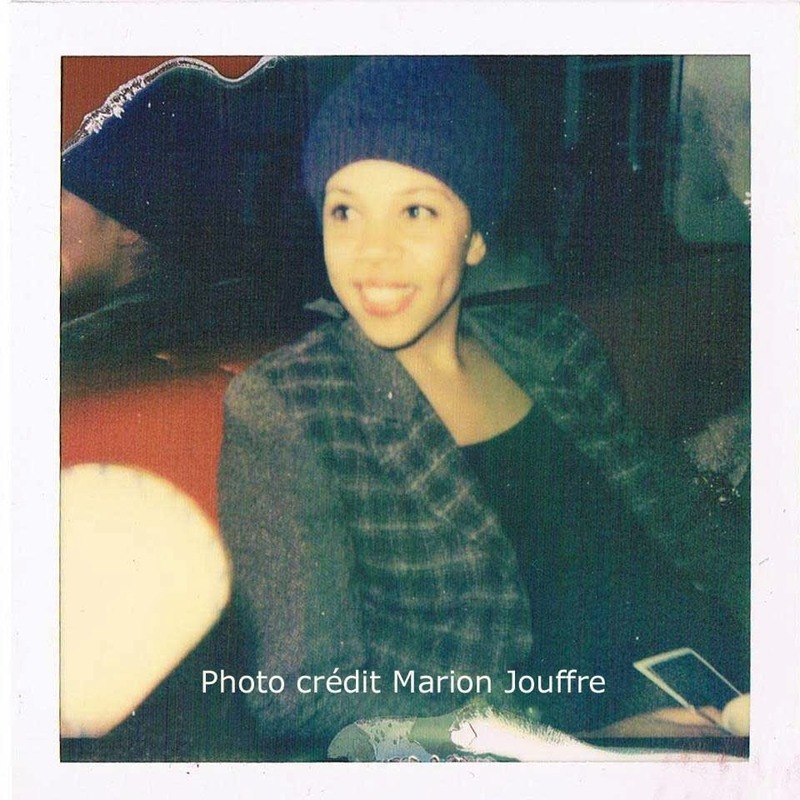 French-Beninese Farah Clémentine Dramani Issifou, 31 years old, talks about her evolution into cinema, her multiple roles in film festival organising, notably Africadoc Benin and the Festival des Nouveaux Cinémas Documentaires, and future projects. I discovered documentary filmmaking after completing a Master’s in international economics and a second one in urban planning, housing and international cooperation. In 2009, I became especially interested when Rama Thiaw, who I met at university, completed her first film Boul Fallé, la voie de la lutte. Two seminal experiences framed my professional orientation: my collaboration with Vincent Moon on his film shoot in the Balkans, and my participation in an Africadoc scriptwriting residency. In 2010 in St. Louis, Senegal during the “rencontres Tënk” I met two Beninese compatriots: filmmaker and producer Faïssol Fahad Gnonlonfin and radio journalist Arnaud Akoha. I proposed to them the idea of creating the Africadoc Benin Association. The objective was to encourage the promotion of documentary filmmaking in Benin, in dialogue with the world. In fact, because of the lack of cinema houses in Benin and in view of the constant influx of images from the exterior that circulate every day on the TV screens, as is the case in general in Africa; it has become necessary, even urgent, to cite Gaston Kaboré: “for certain filmmakers to create images in order to conserve their fundamental capacity to imagine, desire, think and forge their own destiny” and to make films that express their perspective to the world. Observing the emergence of a new generation of documentarians on the continent whose films are still rarely disseminated in Africa or in the west, Africadoc Benin decided to create BeninDocs - Festival International du Premier Film Documentaire (International Film Festival of the First Documentary Film). As the first biennale dedicated to the debut films of young auteurs/directors on the African continent, it aims to encourage this emerging talent through collaboration on local and international levels. When I took up my duties at Belleville en Vue(s) in January 2011, it was the first project that I had promoted. I proposed to the existing group to support Africadoc Benin within the administration of the BeninDocs festival. What is the public’s reception? 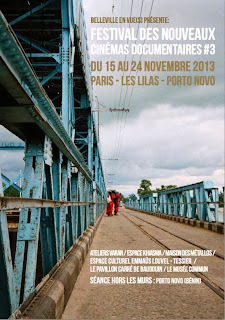 The first edition took place in Porto Novo, Cotonou and Paris in November 2011, the Mois du Film Documentaire (Documentary Film Month) with the support of Belleville en Vue(s). More than 600 Beninese and French festivalgoers hurried off to the different film showings and Q&As with the filmmakers. Two workshops (initiation to the camera and screenwriting) were organised in Porto Novo. The spectators, who attended the festival, whether in Paris, Porto Novo or Cotonou, were all seduced by the realistic images, images that were also created by Africans about their realities, of a continent that is evolving at full speed. You are very committed to film festival organizing. It is even a passion! I wear two hats. I am both General Delegate of Belleville en Vue(s) and co-founder of Africadoc Benin. 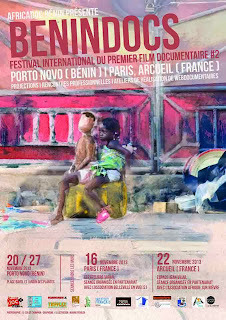 Since 2011 I have put two festivals in place: BeninDocs [organised by Africadoc Benin] and the Festival des Nouveaux Cinémas Documentaires-the New Documentary Cinemas Festival [organised by Belleville en Vue(s)]. At the same time, the exchanges have allowed Belleville en Vue(s) and Africadoc Benin to each develop new practices, to reinforce the impact of the projects and to jointly promote emerging cinematographic writing. This is the aim of the intersecting “cartes blanches” between the two festivals that are organised in France and in Benin. What are your goals for the two festivals? My principal objectives are, on one hand to define the artistic program of the two events, developing closer ties between Clara Guillaud who works with me as artistic co-director of the New Documentary Cinemas Festival and Arnaud Akoha, co-founder and coordinator of Africadoc Benin. In addition, I am in charge of the research for artistic partners and funders on the local and international levels. This year for instance, Lesedi Oluko Moche, the director of Encounters South African International Documentary Film Festival, the most important documentary cinema festival on the African continent, has proposed for the first time in France, a selection of student shorts from the South African school Big Fish. Finally, more generally, I delineate and coordinate the projects brought in by the salaried and volunteer staff of Belleville en Vue(s) and advise the volunteer personnel of Africadoc Benin on the development of its activities. The first thing, in my view, is to consolidate what already exists. It is important that these two young festivals be supported so that a cinematic diversity continues. The first challenge is to make them sustainable. After enriching this year’s programming with a festival newsletter, a live radio show hosted by REC, la Radio des Foyer [the radio of the immigrant workers hostel] and the implementation of a certain number of culture-related activities, it would be interesting for the next editions to develop workshops to educate young people in the area of criticism. In fact, without criticism cinema cannot exist. Film criticism facilitates the comprehension of a film, even in certain cases the capacity to appreciate it, at the same time it enhances the development of cinemas, opening democratic debate, discussion and the exchange of points of view. 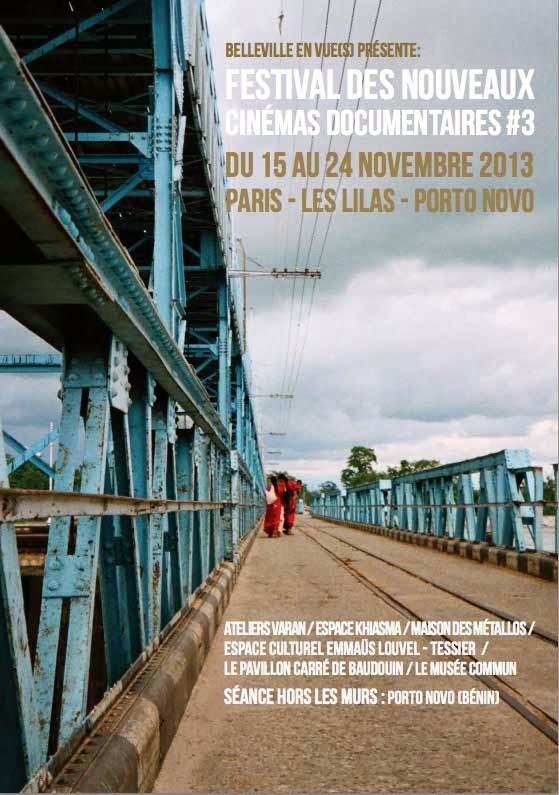 Watch for the Festival des Nouveaux Cinémas Documentaires (New Documentary Cinemas Festival) in Paris, Les Lilas and Porto Novo from 15 to 24 November 2013. BeninDocs – The International Festival of the 1st Film Documentary will take place 20 to 27 November in Porto Novo, Bénin. Two off-location screenings will be held 22 November in Arcueil and 23 November in Paris.